The agency’s co-owners act as independent arbitrators. 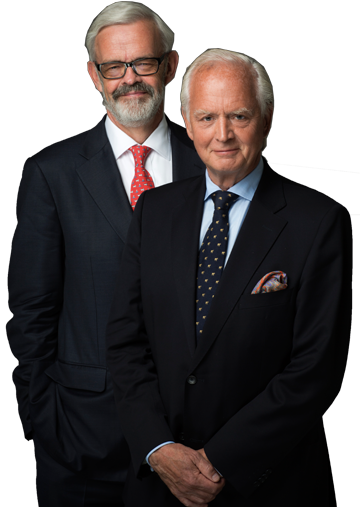 The firm was started in 2013 by Claes Lundblad, former partner in Mannheimer Swartling and Roschier, and by Claes Zettermarck, former partner in White & Case. Our firm focused on arbitration assignments. The partners appear regularly as arbitrator in Swedish and international arbitration disputes subject to various regulations, including the arbitration rules of the Stockholm Chamber of Commerce Arbitration Institute (SCC), International Chamber of Commerce Arbitration Rules, the Arbitration Rules of the International Center for Dispute Resolution (ICDR), the Finnish Central Chamber of Commerce Arbitration Rules, the UNCITRAL Arbitration Rules and international arbitration rules, Swedish and foreign. In addition to the work as arbitrators, the shareholders assist as representatives in dispute resolution through arbitration proceedings and before Swedish and foreign courts. The shareholders also assist with legal opinions regarding Swedish law and international arbitration law. In addition, the shareholders act as mediators and as chairman of general meetings of listed companies. Our office is located on Västra Trädgårdsgatan 15 in the heart of Stockholm.